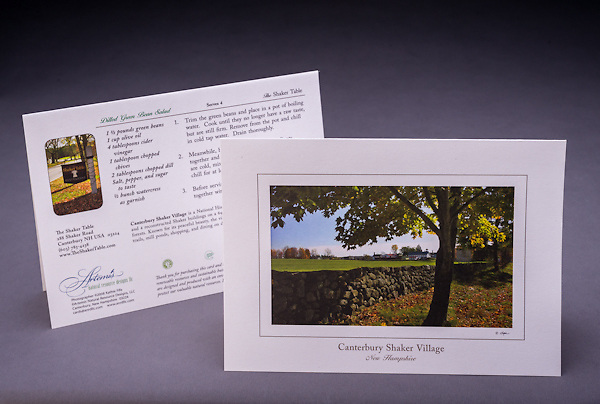 Rich in history and lined with immaculate stonewalls, the view of Canterbury Shaker Village captivates all who visit. A summer recipe of Dilled Green Beans is included. Also available as a Limited Edition Fine Art Print.